Some people like Bitcoin so much that the only way to truly show their devotion is to brand that feeling into heir skins. If you are looking for inspiration for a Bitcoin-inspired tattoo, this is the place to look. Nai Saephan, from Whidbey Island (Washington, US), is the owner of this original tattoo. 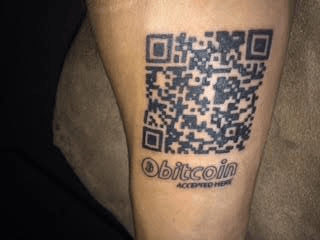 This guy decided to tattoo his public Bitcoin address. 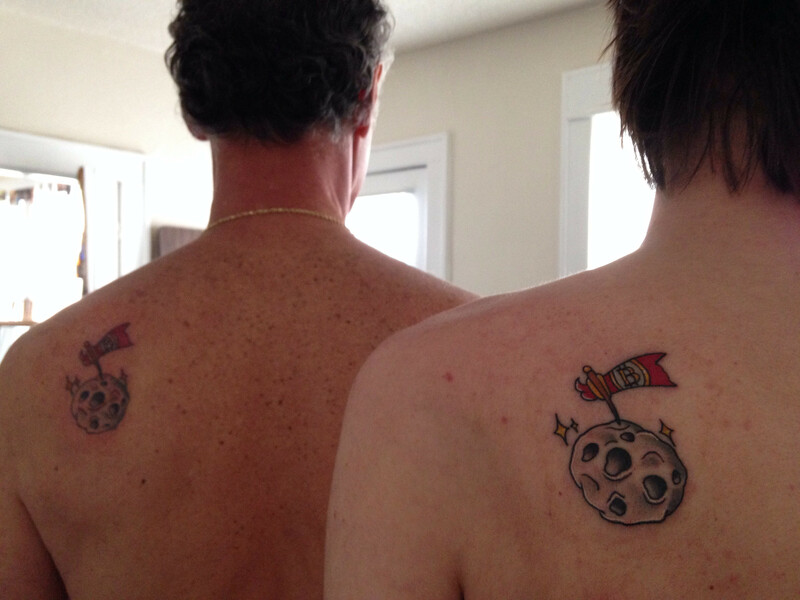 This father-son duo decided to make matching Bitcoin tattoos during last year when the price of the cryptocurrency went up. This girl looks really dedicated to make her digital finances grow. 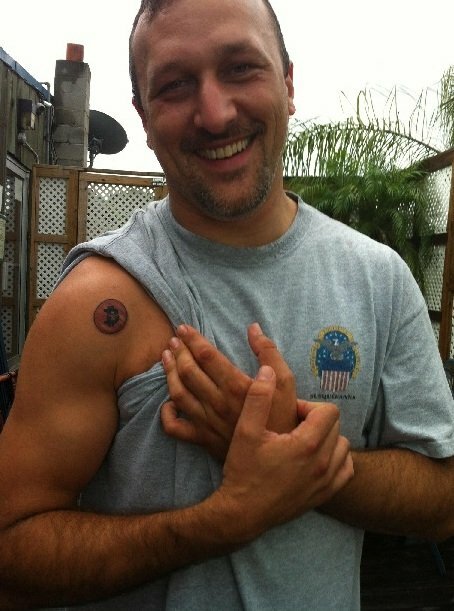 This Bitcoiner from Northern Virginia, United States, not only has a nice Bitcoin tattoo, but also a car with a Bitcoin license plate. 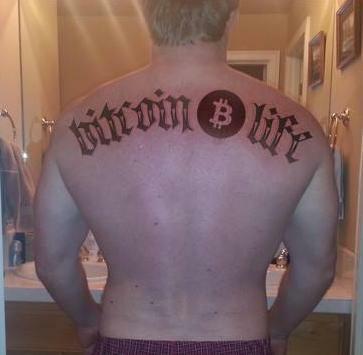 This one, made in 2011, was probably the first Bitcoin tattoo ever made. Probably the biggest proof of devotion seen so far. 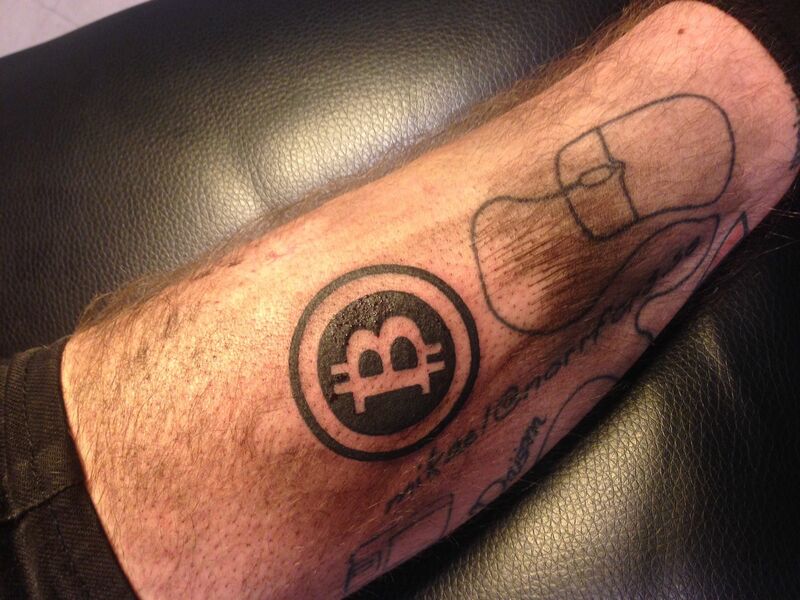 Besides representing Bitcoin, this tattoo was also paid with cryptocurrency.